Carlson Erie offers exhaust systems that feature top-of-the-line fans, blowers and fume scrubbers. By carefully selecting the highest quality components in the industry while also providing custom engineered systems, we ensure that our equipment will involve minimal maintenance and perform effectively. 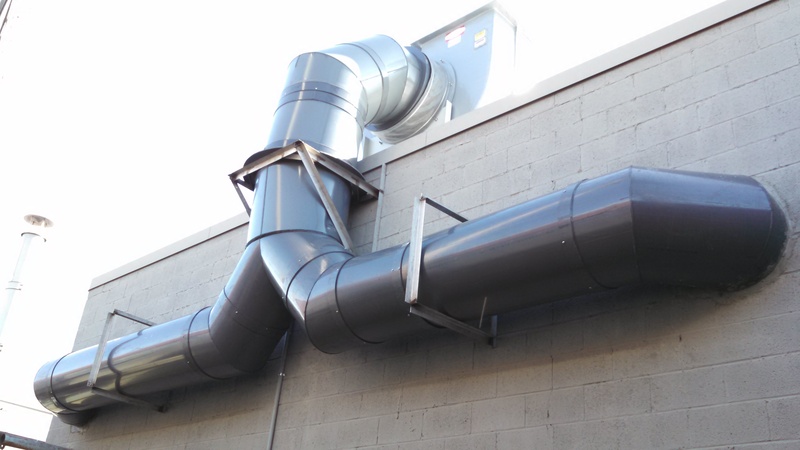 Carlson Erie has plastic fabricators that offer quality construction for all of your ventilation components. We provide complete installation services to ensure that your system operates according to your specifications. Manufactured from thermoplastics, plastisol-coated steel or stainless steel. Custom size, shape and material thickness to meet your specific requirements. Prevent rain or snow from entering the fan housing during operation. Stop cold air entry in idle systems. Contact Carlson Erie Corporation for high quality exhaust systems and duct work.